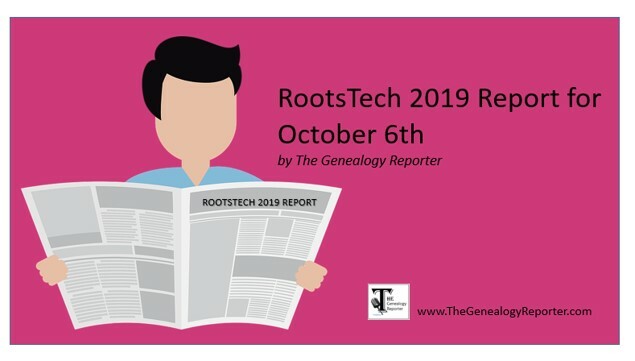 From now until March 2019, The Genealogy Reporter will be putting out the RootsTech 2019 Report. These reports will cover everything you need to know about what’s happening in preparation for RootsTech 2019, contests and special pricing information, keynote speakers, and tips to make your experience the best. Get in on all the inside news and follow the RootsTech Reports from The Genealogy Reporter here on the blog, on Facebook, on Instagram, or on Twitter. See you there! Though this tentative schedule is subject to change, you can get a sneak-peek of the class titles, class descriptions, and the presenters, online now at RootsTech.org. Some people have been having trouble pulling the schedule up or using the filters on their laptops or smart phones. 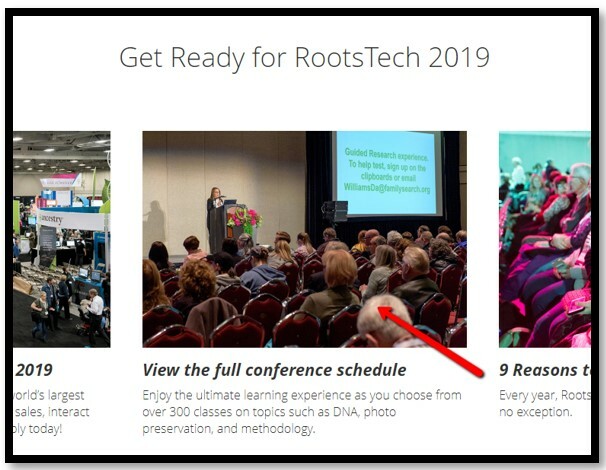 If you have trouble, go to the RootsTech homepage and scroll down until you see an image titled, “View the full conference schedule.” Click that image and you will be directed to the tentative schedule in which the filters should work properly. Registration is open for you to purchase your RootsTech pass. Early bird pricing will last through October 12th. RootsTech is offering three types of passes this year, including an Ultimate Experience Pass! 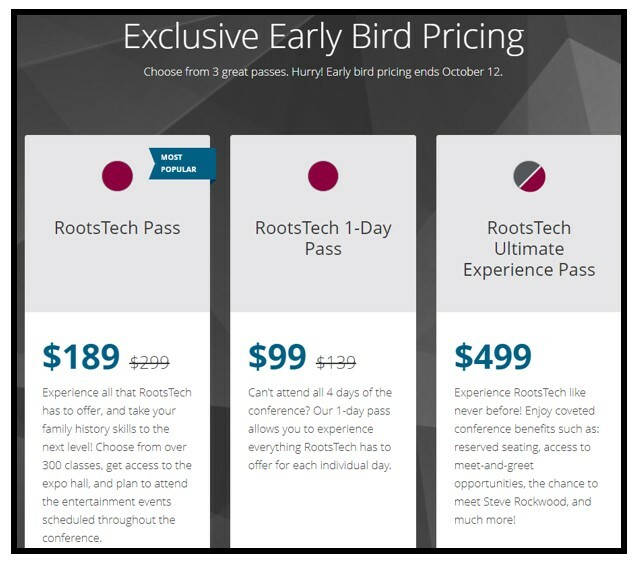 Click on the image below to learn more about each RootsTech pass and see a comparison chart. New this year, the RootsTech team is putting together a series of videos titled “Road to RootsTech.” These short (5 minutes or less) videos show you a behind-the-scenes look at RootsTech, how things are evolving to be better each year, and more. As of today, three videos are available to watch. 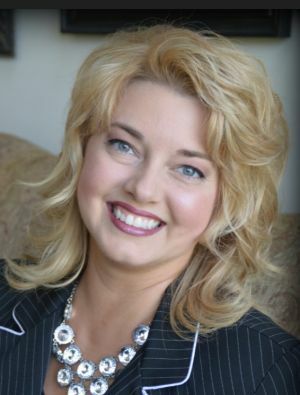 Take a look at the first episode with RootsTech Director, Jen Allen, below. 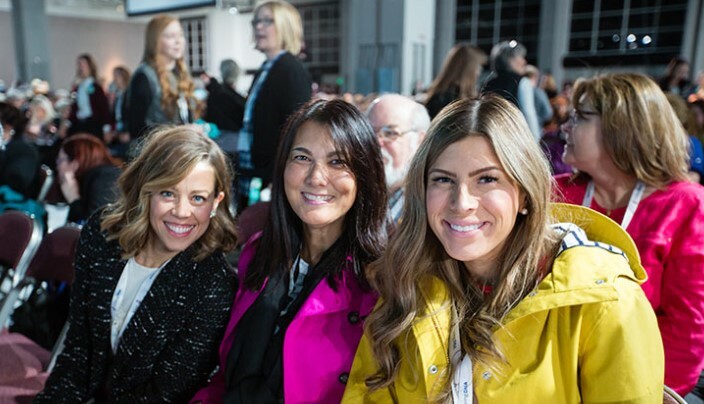 In 2018, a special event geared toward women of The Church of Jesus Christ of Latter-day Saints was debuted at RootsTech. The all-day Light Keepers event was a huge success and is being brought back for 2019. Though the event is geared toward women of the Church, they encourage women of all ages and faiths to join. Light Keepers will be held on Friday, March 1st at the Salt Lake Palace. Registration for Light Keepers 2019 is separate from your RootsTech registration. The early bird price for this special event is $99.00 and includes access to the RootsTech General Session for Friday, the Expo Hall for the day, and the Light Keepers hands-on workshop. Register for Light Keepers, here. 1:00 PM – 5:30 PM – Light Keepers Workshop – Where you will be introduced to the basics of family history by passionate and energetic experts, and you’ll learn simple, fun ways to incorporate it into your life. 6:00 PM – RootsTech Evening Event – A fun British cultural celebration complete with live music from talented British cover bands. The evening event will take place on the main stage at 6 p.m.
Wow! The RootsTech 2019 Opening Event was announced and everyone’s super excited. 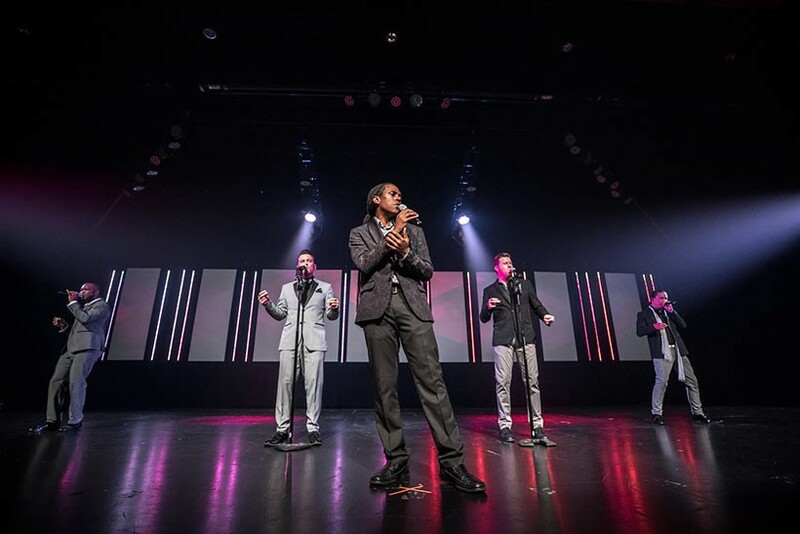 Wednesday, February 27th, on the main stage, Edge Effect will be performing their dynamic vocal harmonies that showcase music from multiple decades. You won’t want to miss this! You can see a list of other special RootsTech events, here. Yep, you read that right! Many of my genealogy colleagues are giving away a free 4-day pass to RootsTech 2019. Pop over to Conference Keeper to see all the listings in order of deadlines. The Genealogy Reporter will also be giving away a free 4-day pass soon, so keep watching here on the blog for the give-a-way and news and updates on RootsTech 2019.